I took the picture when walking my dog. I see the writing almost everyday, and I like the meaning. I wonder who left the message on the wall and why. 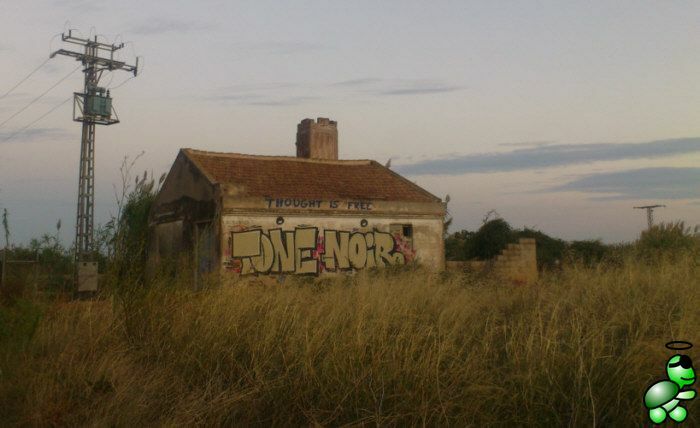 Thought is free.